Welcome back to the second #StylishMonday Link-Up of 2019! So what exactly is Stylish Monday? On the first Monday of each month, I partner up with a few other fabulously stylish bloggers from around the globe (this month there are 9 of us!) 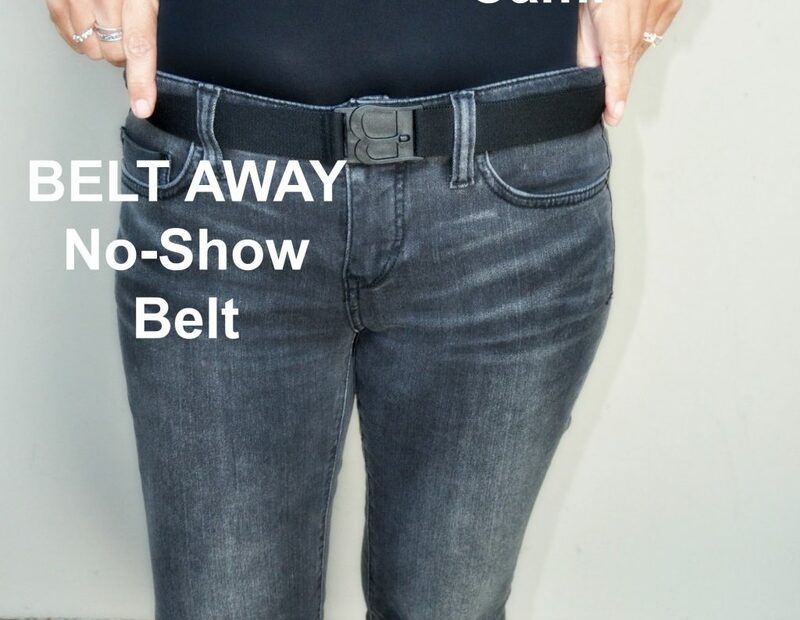 to show you just how versatile some of this year’s trends can be. This month, we’ve styled up 9 different looks, all using the color RED – just in time for Valentines Day and American Heart Month (read more at National Heart, Lung and Blood Institute, HERE). And as you will see, we all style the trends differently…which is why this collaboration is so much fun! So, once you check out what’s happening here, I encourage you to hop on over to each of their blogs and/or Instagram feeds, and take a look at how they wear red. Meet this month’s Stylish Monday collaborators, with links to their blogs next to their names. Row 2: Julie Augustyn of Fashion Trends and Friends (HERE) | Andy of Pearls and Pantsuits (HERE) | Me! Whether you choose to wear it head to toe, as a pop of color, or a simple swipe on the lip; red is a color that can instantly jazz up any look. Today’s red turtleneck is from Rag and Bone (SIMILAR on SALE (HERE) | (HERE). Versatile in styling, it’s a piece I’ve paired back to all sorts of looks; from layering it under all black to an unexpected pairing with camel. One of my go-to work uniforms is a long jacket or cardigan, over a pair of trousers. We can all use a black trouser, and this pair from ATM are a favorite; super comfortable and work back with just about anything. SIMILAR under $50 (HERE). The sleeveless jacket/vest is a recent purchase from the post-holiday sale over at Zara | SIMILAR (HERE). Rag and Bone turtleneck in red | SIMILAR on SALE (HERE) | (HERE). Do you ever count on your wardrobe to put a zing in your step? I know I do! 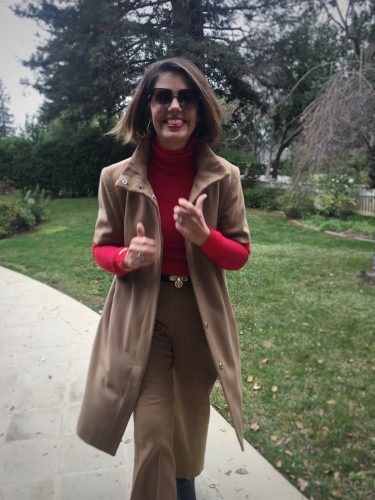 I usually pair my camel trousers and topper coat with either black or grey. But, adding more grey to this particular cloudy Monday Morning was not going to do. 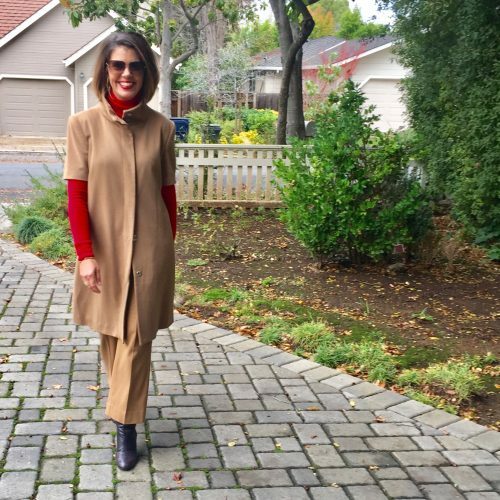 By swapping out my go-to grey for this red turtleneck and a pop of red lipstick, I felt transformed into the Mom Boss I needed to be. My Fave? Dior Rouge #999 (HERE), an iconic red lipstick shade that claims to work with every skin tone. To browse more luxe lipsticks I splurge on, visit The Perfect Red (HERE). I recently read about a NEW red shade from Maybelline Color Sensational Made For All, in ‘Red For Me’ (HERE). A Look at Your Favorites: According to my recent Facebook Poll, here’s a look at what shades-of-red lipsticks AskSuzanneBell readers are loving right now. Sheela G: Most definitely 22 (AMAZON | HERE) or Heat from Kylie Cosmetics (AMAZON | HERE), worth every bit of hype that one. We’d love for you to share your style with us! 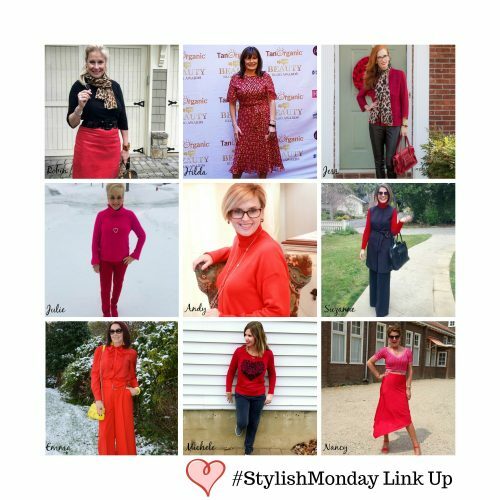 Link your look or blog post in today’s Stylish Monday Link-Up Party at the bottom of today’s post! What’s a Link Up? 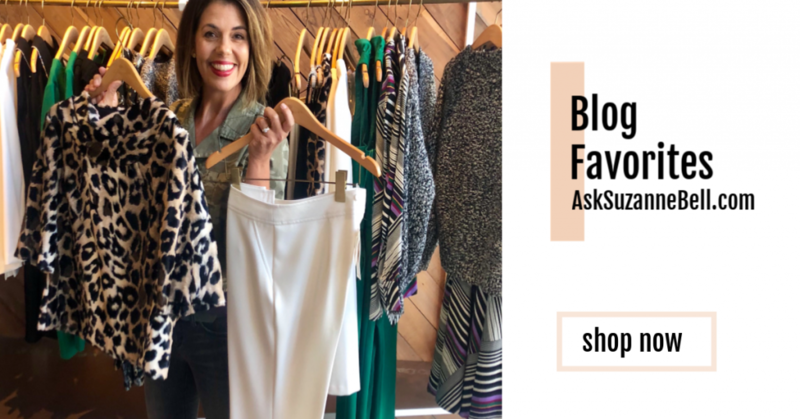 Basically, it’s a fun place to share and see each other’s style, all in one spot! To share your favorite posts simply click the blue Inlinkz button at the bottom of today’s post and share your favorite posts. 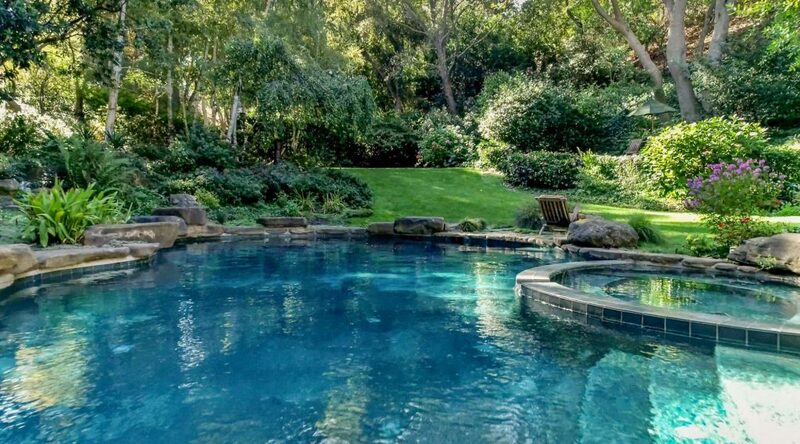 Adding your link will allow you to show off your hard work, make new connections, and gain new followers! Share whatever you like and be a part of the community!! Follow me on Bloglovin, Instagram, Facebook, and Pinterest. Be sure to tell your friends about this linkup so they can join in the fun too. 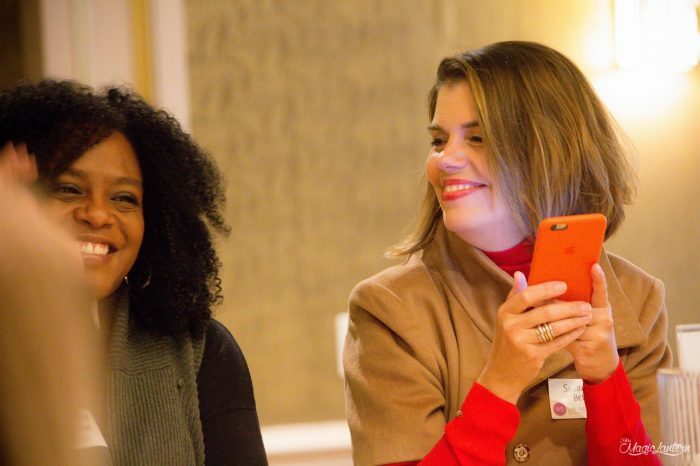 I love checking out all the Blogs and Instagram accounts that link up, you never know who you might meet or connect with! Hi Maria! I agree, the red theme this month was super fun. I love seeing all of the different combinations these women all came up with! I too love Henri Bendel bags…there are always a few each season I fall for. Red is so powerful and fierce! I love how all of you ladies styled your red and it is just one of those colors that looks fantastic on everyone! I always seem to be searching for the perfect red lipstick so I’ll have to check out some of the recs you’ve inlcuded! Hi Kellyann! 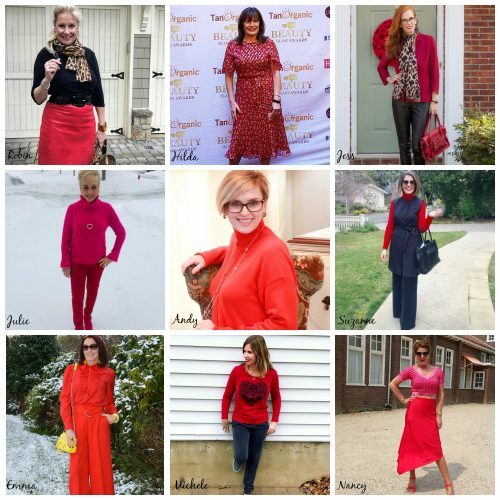 Yes, this month’s red theme was really fun – who knew there were so many different ways to wear the color red? These red lipstick colors were from a poll I put out on facebook last month. Personally I love the Dior #999, as it works on so many skin tones. THere is a new one that RECENTLY came out, for way less. It is Maybelline Made For All by colorsensational in color ‘Red For Me’,. It claims to work on 50 diverse skin tones! So many fabulous outfits! Great group! Love the ladies in red, Suzanne, great combinations, I especially love the camel and red look! I need to thnk of that more often! I found a NARS red lipstick I like with my skin tone, but I appreciate your selections, will check some out! Nothing like red, its one of my fav colors. Another fun collaboration is in the books! styling red was great fun this month! Looking forward to whatever next month’s theme is going to be! 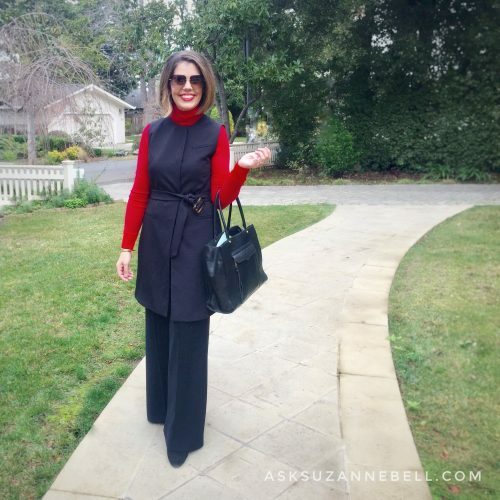 red always seems so tricky to me to wear…but love these ideas from these ladies…also, i have found some new blogs to follow on your link-ups…do you have a list of bloggers that you know of here in the bay area? i’m actually up north in the sacramento area…but born and raised in SF…love to see local ladies bloggin it up…thanks, eva…ps always wanted a fashion blog myself, but the costume biz keeps me crazy busy..need to work on that website more..